Last week I shared tips on winning over the crowd by serving up mulled wine. Today, let’s turn our attention to dessert. 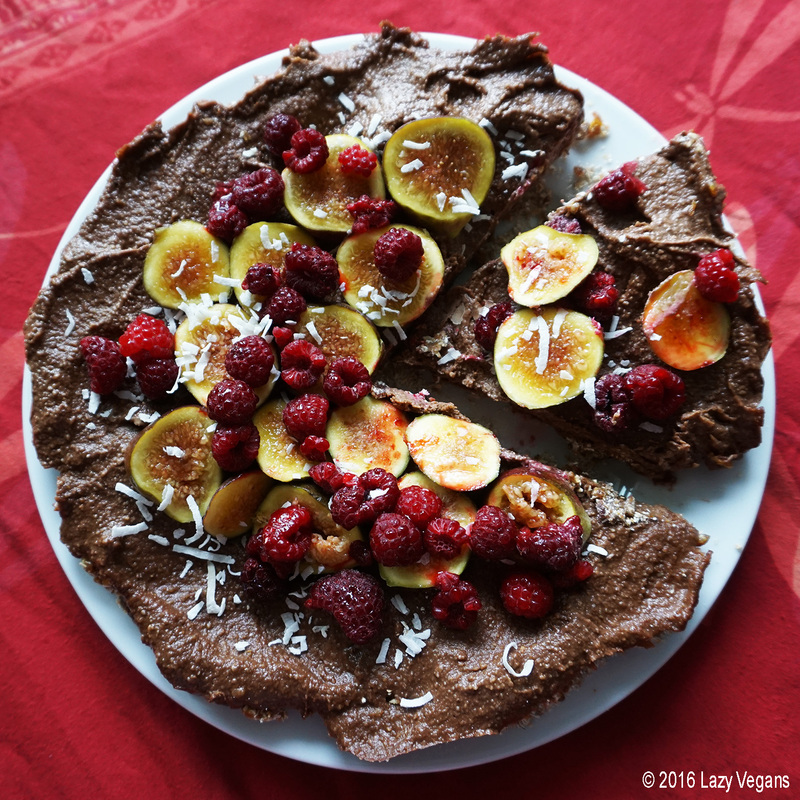 I used my new blender to make this vegan chocolate cheesecake with figs and raspberries (inspired by This Rawsome Vegan Life). Oats and dates make up the crust. The filling is a decadent purée of cashews, bananas, dates, maple syrup, coconut oil, vanilla extract, coconut milk and cocoa powder. My blender whipped everything up in just a few minutes. And no baking required! This double dark chocolate pudding is so easy to make on the stove top: thanks to coconut milk, it’s super rich and creamy. And your friends will hardly believe it’s vegan. In a bowl, whisk together the cocoa powder and cornstarch. Slowly pour in the coconut milk and whisk the ingredients. Cook for two more minutes, then simmer for another minute. Pour the pudding into a bowl or glass container and cover with plastic wrap or a lid. Refrigerate for four hours or overnight. Serve with raspberries, sliced strawberries, banana, kiwi or coconut whipped cream. * For extra creaminess, feel free to add almond butter to the mixture. Check out this fun video for chocolate truffles. Use vegan chocolate chips and full-fat coconut milk instead of heavy cream. For extra flavour and texture, roll the truffles in coconut flakes. 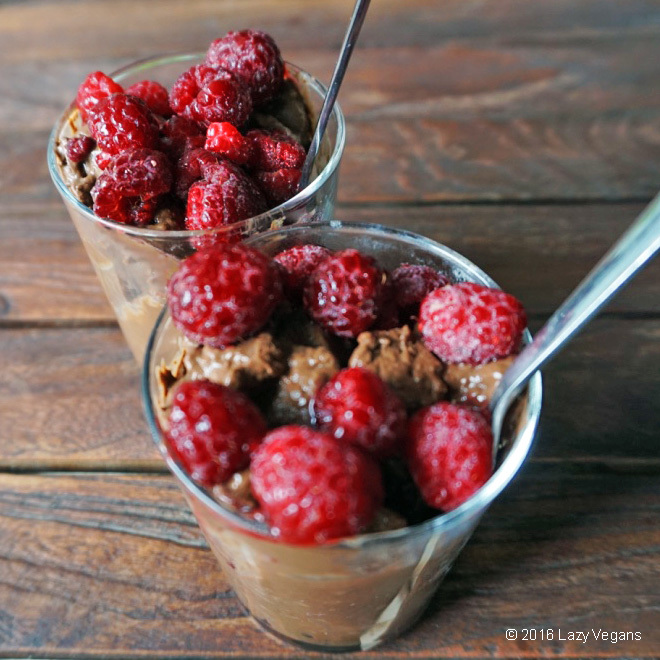 As I wrote in a previous blog entry, chocolate recipes are easy to veganize with raw cocoa powder and nut milk such as almond, cashew or coconut. What sinful, chocolate treats get you in a festive mood?